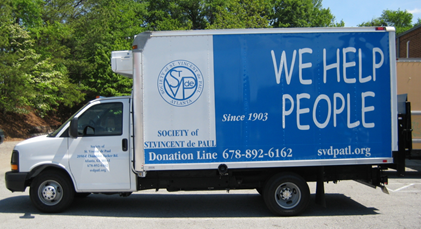 The Saint Vincent de Paul Thrift Store AND Habitat for Humanity ReStore Truck will be in the lot June 9-10. Thrift Stores provide low-cost quality clothing to bargain shoppers, and our food pantries support individuals with limited means in our community. The Vincentians will unload your car and provide a receipt for your records. Please view their donation WISH LIST for preferred items. Donations will be accepted Saturday from Noon to 6:00 PM and Sunday from 8:00 AM – 6:00 PM. Contact BernieGaydos@yahoo.com for info. TEEN VOLUNTEERS ARE NEEDED TO ASSIST THE HABITAT TRUCK!